has a large window showcasing beautiful oak trees. 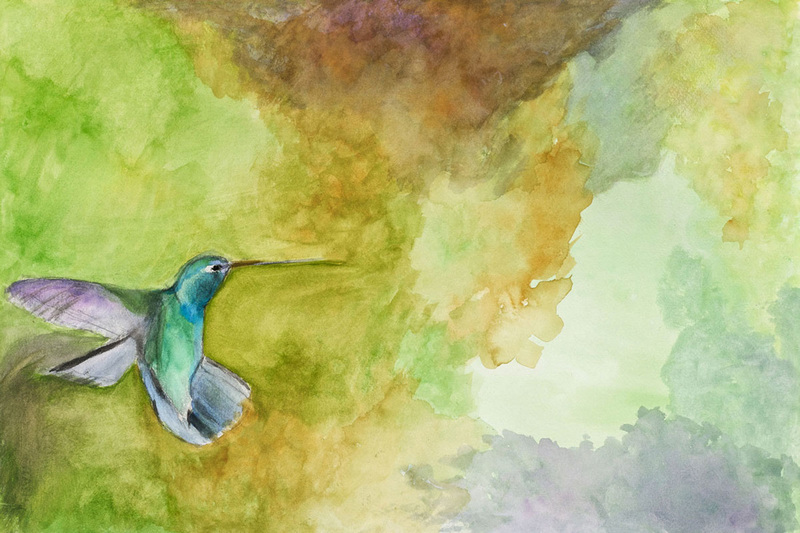 During my sessions, the hummingbird is a regular visitor to the window during moments of clarity and truth. The Hummingbird is a significant guide in my healing work because when it appears I know there is a Universal truth. The Hummingbird in your presence will help to reveal the truth.